The prior occupants of our house installed a bar (for hanging things – from IKEA) above the stove, but the space between the bar and the stove controls is too short to hang most utensils – maybe 8 inches. Even the oven mitts brush the top of the stove. I don’t have any fear of fire, since we have a stupid glass-top electric stove that I hate, but I’m not going to hang anything that won’t get used and washed regularly due to grease splatters. Any ideas on what to hang there, or should we just give up and remove the bar altogether? I vote remove it. I can’t imagine hanging anything right above the stove because it would just get splattered whenever you cook something. I’ve seen a lot of people on here ask for idea on where to get cheap professional clothes to tide them over while they are between sizes. I’m in a similar boat and I just picked up some stuff at the Van Heusen outlet this weekend. It’s not a store I would normally shop in as the materials are lesser quality than even Banana and Loft. That said, they sell machine washable professional wear for cheap! I got a pair of black professional pants and gray professional pants for $17 and $23 respectively. If you look at them really closely or feel them they are of cheaper quality but from far away they look perfectly presentable. For clothes I’m only going to wear a month or two (while experiencing medication induced bloat) they are perfect. They also had great feminine short-sleeve collarless button front shirts in jewel colors with a scoop neck that look awesome under my suits. Thanks for the tip! I am in the market for new pants and love a bargain. They have an outlet about an hour south of me and it sounds like it’ll be worth the drive. I’ll have a free afternoon next month to wander around NYC by myself. Excluding food, any recs on what to do? Particularly, any stores unique to NY/NJ area to visit (am already planning to hit Fox’s)? TIA! Century 21 is the normal shopping recommendation. I also like to wander around Scoop but can’t afford or fit into the clothes. Allsaints is fun too but I think there are stores in other cities. The holiday markets at Union Square and Bryant Park are fun to wander around in. Agree that the holiday markets can be fun, but just one hint: the stalls in Union Square and Bryant Park are almost identical (i.e. most companies set up a stall in both markets), so just hit up one or the other. I’ve never been to both in the same year so I never noticed. Thanks for pointing that out! Check out the jewelry stores on Broadway between 28th and 32nd. So cheap and so shiny. Also, Eataly! Either location. Also, as a break from shopping check out the Whitney! Great collection & cool views of the city. Depending on where you’re coming from and your style, Topshop is another fun place to check out that isn’t in many U.S. cities. Not my personal style, but out of town friends enjoy it. Have any of y’all been to the Talbot’s clearance outlet in Springfield, VA? I’m wondering if they have much in the way of plus sizes. Yes, I’ve been there. This outlet has roughly even distribution of petite/standard/plus selection but bear in mind the clearance outlet options lean toward frump and out of season (for all sizes). I’ve had good luck finding dresses and suit separates. I’m having trouble networking and bonding with my MBA classmates. We are in a part time program where class meets every Saturday. After class, many people go out to drink and it’s hard being the one person that doesn’t drink (I don’t like it and break out in hives after 2 beers). I know I’m missing out on bonding time with my cohort but the constant bar hopping and pretending to drink is stressful for me. I’ve been asked why I don’t go out with them and why I never drink. It’s no fun saying no and sitting on the side when everyone is doing shots. Any advice? Honestly, I’m just very happy to go home to my husband after class but I do feel distant from the group that always goes out together. Why don’t you go out and just not drink (and don’t pretend to drink)? If someone asks, you can honestly say that you have an allergic reaction to alcohol. You don’t need to stick around until the end. As someone who doesn’t drink, I just want to say that when I’m honest about the fact that I don’t drink (I also have a medical issue) people get very weird and uncomfortable. They say they don’t judge me, but that they are uncomfortable getting drunk in front of a sober person because they worry I’m judging them. My experience is that when I’m honest about the fact that I’m not drinking, people only distance themselves from me more, so I’m not sure that’s a solution here. Not drinking on one particular night is totally different, but when you say “I don’t drink” (no matter what the reason is) people flip out, in my experience. I will add that I’ve noticed that, to generalize, people are more accepting of people who don’t drink for religious reasons than people who choose not to drink for reasons that are independent of faith. It’s like they assume Mormons (as an example) aren’t judging them for drinking, but I am because I don’t have a religious excuse behind my decision not to imbibe. Yeah, people might get weird. But the OP has a medical condition, which I think (hope) would mitigate some of that weirdness. But she just has to own it. OP, I also agree with creating your own networking opportunities. I only drink very rarely and never really experienced this. I’d go out to bars with law school classmates or friends without drinking and people either never asked or just rolled with it when I said I didn’t feel like drinking that night. Maybe they were ok with it because i wasn’t saying I never drank? I wound up being the designated driver on several occasions but never really felt left out. Just my experience though. My best advice would be to seek out other students who don’t drink or other students who have families and want to spend time with them. You don’t need to be BFFs with everyone, you don’t need to be one of the “the cool kids” but it will be helpful – to both your mental health and you future career prospects – if you have some friends at school. It doesn’t sound like 100% of the students are hitting the bars, so try to organize some other (family-friendly?) activities with the ones who don’t. Honestly, you don’t want to go (you said you’d rather hang out with your husband) which is fine. But the consequence of that is you’re not bonding with them (and that’s why you feel distant). If you want to bond with people, sometimes you have to go. You don’t have to drink but have a non-alcoholic drink and just hang out and talk to people. Did you not see the post above you? I drink but come from a family that is allergic so am around a lot of non-drinkers. On your Saturday class, which I assume is during the day, why not suggest going for lunch or coffee afterwards? For night time or if everyone is in fact going to a bar mid-day, I think people will not notice if it is in a group and you order a soda or what have you. People are less inclined to want to drink one-on-one if the other isn’t, but I don’t think that’s the case with a larger group. And also with the larger group, I would just not say anything unless someone asks. Definitely initiate. Especially a cheap activity that takes the focus off of drinking, like pool or bowling. Go drink some water and eat some nachos or something. You don’t have to drink to socialize. Yo, anyone who doesn’t get that you aren’t my friend when you say “I’m allergic to alcohol so I don’t drink but I’d love to join the group at the bar” is a terrible person who deserves no shots. No need to pretend! Only codicil to this (IMO) is if you’re allergic and tell everyone you’re allergic, than that’s it. You’re allergic and you don’t drink. You don’t get to have a bender every couple of months and then go back to being allergic. Actual allergies don’t wax and wane – if you do the latter, than it may not agree with you or you may not like it, whatever. But you don’t get to play the allergy card. I know that people feel this way, but it makes no sense to me. People do all sorts of things that they know are unhealthy for them. They just suffer the consequences. I don’t judge you for eating cake on your birthday even though you’re on a diet, don’t just me for occasionally indulging in my allergen even though I know I will regret it. I’m the previous Anon, I feel the same way about people who say they are allergic to gluten and then have a piece of cake. Allergies to me aren’t something to play around with. Gluten intolerance often means you get terribly sick after eating gluten. Some people might decide that sometime getting sick is worth it. Same with allergies – some people have something they are allergic to and die, some people are happy to take a zyrtec to visit their friends with cats. You don’t always know what an allergy means to another person. If you feel that people won’t respond well to your honest comment about being allergic, you could also say “I’m on x diet/cleanse/whatever and not drinking.” I mean, I think your choice is your choice and they should respect that, but I also get that people have their own issues that may be projected onto you. I don’t drink much either, but have had good success with the line above. Also when traveling (for work) when work dinners involve a lot of guys out drinking, I also say I don’t drink when I travel because it screws up my sleep schedule even more (which is true). This helped a lot when I was TTC and lots of older women were on baby watch. Go, order club soda on the rocks with lime. It looks like a drink, and gets me through functions without having to explain anything. Just be honest! I wouldn’t care if someone had a soda rather than a vodka soda. However, I had a friend who doesn’t’ drink and every time I wanted to have a glass of wine or go out for drinks I felt judged as though I’m in the wrong for wanting to drink. Don’t be like that. Don’t judge someone for having a beer…or a few too many when not in a professional setting. I live in a very blue neighborhood in a light blue city in a deep, dark red state where the state judiciary is appointed. If I’m being honest, my dream for a long time has been to someday become a judge. 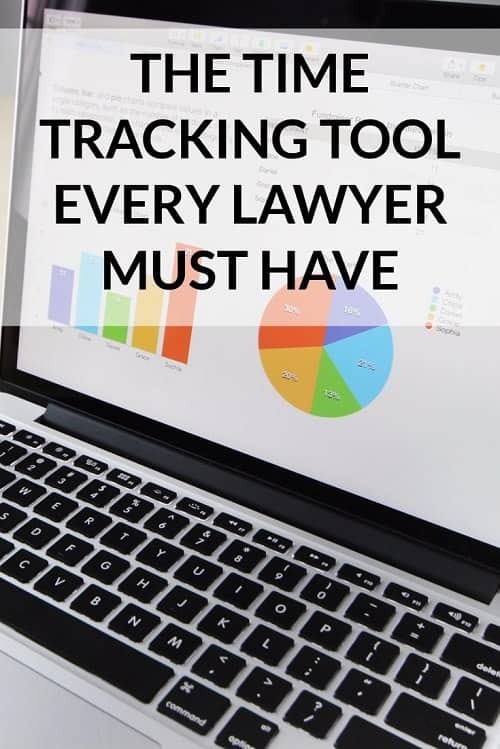 So far I’ve done everything right – gotten good grades at a “fancy” law school, done two clerkships, landed a litigation job at a well-connected local firm that formerly employed half the state’s supreme court and several members of the federal bench, networked extensively in the state bar. But of course, actually becoming a judge is a long shot, and even if it were to happen someday I have decades of work ahead of me. Part of my strategy has been to be careful about expressing my liberal political opinions, because becoming a judge means getting past my state’s inevitably Republican governor/state legislature/federal legislators. I make my donations to Planned Parenthood anonymously, I have declined all the invitations I’ve gotten to go to Young Democrat events, and I keep my political views off Facebook. But lately, I’ve been thinking about how important it can be to stand up and speak out. And I’d really like to get involved politically on a local level and connect with other young people who are pushing for change. But I worry that by trying to make a difference today I’m limiting my future options. How big a deal are politics in the (non-SCOTUS) judicial appointment process? Any advice? Yay! I love this billeing tool, but the manageing partner alway’s adjust’s my billeings after I input them into our system. That is realy the only way I can get to my quotas, which do NOT include his uplifts. But for $35, this can work for small firm’s that do NOT do uplifteing. As for the OP, I too want to be a judge, but I figure that I can use my own talent’s to get on the ballad, if I am goeing to be a state court judge. Otherwise, I will need support from the Bar Associateion, which the managing partner knows all the people there. If you do NOT know any one, it will NOT be easy. I also know the judge, but he is goeing to retire in a few year’s and I will have to get on the Bench before then. YAY!!!! If I really wanted to be a judge, I’d switch parties (or hope that your party can appoint you to something like a federal magistrate position). If Mayor Bloomberg can do it, you can, too. I think people can appoint someone known to be more liberal from within their party, rather than someone from outside it (who may say that they are pro-business and a strictly-by-the-rules person) with the same credentials. Doubly so for someone who won’t admit that they are outside of it so you wonder what else they are obscuring. Yep. You need to switch your party if a state judgeship is your goal and your state is dark red. To be clear, though, you should check your state’s rules before you switch parties – the state may require representatives of both parties on the bench. Interesting. I have never registered for either party because it seemed like neutrality would be ideal for judgeship (among other reasons) but I’ll look into getting involved in the Republican Party. Actually, a lot of liberal people in my area are registered Republicans because all the statewide races are decided in the closed primaries. You should learn to express your liberal opinions in language that resonates with the conservative people in your state. Make your arguments in their terms. I think that’s the only way to forge the alliances you need to achieve your career goals and stay true to your beliefs. No advice but I’m following because my political activities are restricted by my job. 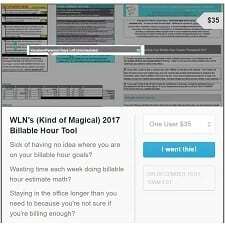 Does anyone use this billable hour spreadsheet/tracker? It seems like a good idea in theory, but I’m not seeing the benefit unless it syncs with my time entry software realtime. I wouldn’t pay $35 for it. 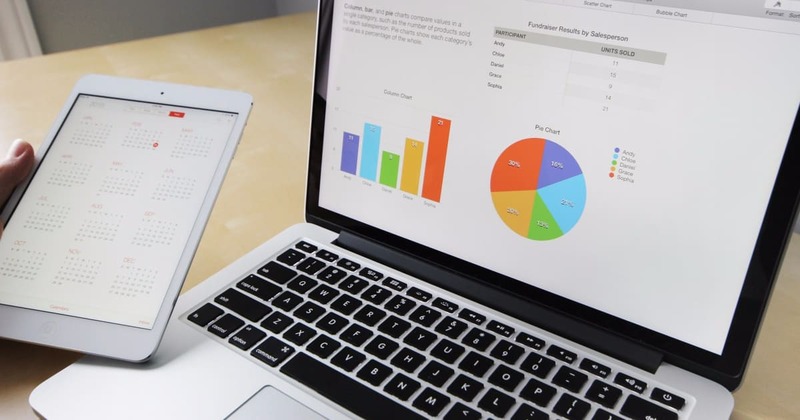 You could bill a pretty basic excel spreadsheet with all of the same features in under an hour. Mine doesn’t track months other than the current one so I keep a virtual post-it on my desktop so I can see how I’m doing monthly for the year. Not sure if that counts; otherwise it just seems like I’d get confused. Exactly — this seems to be very basic back-of-envelope math. Not sure why you need an app for that. My firm’s billing software has a feature that does it for me. You plug in your goal hours for the calendar year or fiscal year and it tells you how you’re doing. It’s intriguing information, but I wouldn’t pay $35 for it. What is the difference between wearing a suit and “wearing suit separates”? I heard this mentioned on the earlier thread today and don’t understand. Even if you bought the pieces separately, shouldn’t they still be part of a matching suit? I think it’s when you mix and match two suits “sets”. IE if I have a blue suit with blue pants + blue jacket and a grey suit with grey suits + grey jacket, I can wear blue pants + grey jacket and look like CJ from West Wing. I’ve always understood “suiting separates” to mean the functional pieces of a suit (so pants and a jacket or a skirt and a jacket), but in non-matching fabrics. So black pants and a tweed blazer or a colored blazer. Or a magenta skirt with a navy blazer. Suit separates: pink jersey blazer with grey wool trousers. Or grey wool blazer with navy wool skirt. Or a jacquard black blazer over a black wool dress. Also to add: You can totally buy blazers and skirts that are “suit-like” but do not actually come as a set. Anyone want to shop for me? I need to buy a dress for an upcoming renewal ceremony (I’m a guest, and it’s a small affair). I want to look good, but it doesn’t have to be super formal or anything. I’m a size 4/6 and have a bit of a belly, so an A-line or fit and flare dress would work best. No black, and I look best in jewel tones like royal blue, bright green, magenta, etc. Should be knee length, which on me is 40 inches. Preferably something that has fast shipping, as I need this by next weekend. Maybe something through Amazon? I don’t want to do RTR. I love the MUXXN line for stuff like this. Lots of good jewel tones, Amazon prime, mostly A-lines. Slight retro vibe. Grrr. Small vent – yes, I may be more junior, but my time is not less valuable. I ran around like a headless chicken getting things ready for an early deadline (including drafting a complex document in a foreign language in 90 minutes because it took five days for a secretary to send me a sample to work from), only to discover I was one of only two people to get things in on time. Which is why, in a job that doesn’t pay me nearly enough to justify this, I am checking my e-mail at 22:48 and waiting for more replies. I think shots, shots, shots (of tea) are called for. At least I’m refreshing my e-mail at home on the sofa! My sympathy to everyone who has to deal with this sort of thing regularly! Yes, your time is actually less valuable. True, but here’s a twist – see above. (Peculiarities of strange foreign system and job security here.) The situation gets a bit lost in translation. *shrugs*. At least if we miss the deadline, it’s not on me! I don’t think this is an issue of respecting your time. It sounds like everyone else can’t meet deadlines. I have recently noticed that any time I drink wine – red or white – I get what basically feels like a hot flash. I get super hot and sweaty. It’s miserable. The internet says that wine sometimes causes hot flashes for women in menopause, but I’m only 38 and so I’m looking for other answers. It doesn’t happen with beer or really with cocktails – just wine. I can give up wine, of course, but I really don’t want to. Any suggestions or personal experiences? If you don’t want the hot flashes, and they only happen when you have wine, stop drinking wine. That’s not rocket science. You’ll be fine. If you start having hot flashes anyway, go back to drinking wine. And welcome to menopause. You may want to think about if anything else causes you to feel the same way. Sulfites are also found in spreads or dressings or preserves that may have wine or wine vinegars (including balsamic) in them. All processed potato products are sprayed with them, which is not required to be reported on the label. Tons of things have them, there are charts you can look up to see which foods have the highest concentrations. Yep. I am definitely a wine aficionado, but about once a year, I have a horrid sulfite reaction to certain wines (often zinfandels, but not always; zins have the highest concentration of sulfites of most types of red and so I generally avoid them). This manifests as extreme hot flashes, hot and cold sweats and dizziness. It’s random and usually from reds, not whites. It has also happened with some extremely fancy French reds at time too. GRRRR. If this happens to you with all wine, I’d just stick to other forms of alcohol. Sorry this happens to you–it’s really uncomfortable. I downloaded a wine app that you can use to rate wine that I use to keep track of which wines I am allergic to. (Doesn’t work everywhere, but keeps me from buying what I am allergic to again at the bodega.) You can also try an anti-histamine if you end up feeling like you drank a wine you are allergic to. Thanks all for the comments – I will experiment with the sulfite issue and see if that helps. I agree that this is not rocket science, but I’m grateful for other ideas to experiment a bit. I am a little surprised to hit menopause-related issues so soon, but if that’s the answer, so be it.